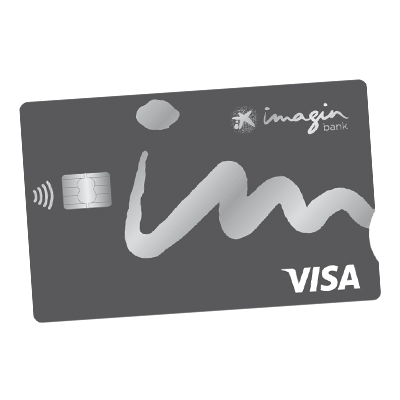 You can now enjoy yourself thanks to the imagin Visa credit card! Rent a car with some friends. Book that hotel at the beach. Use it for anything you want! Easily and any way you like! Card with no maintenance fees. Buy now and pay for it at the end of the month. IF YOU'RE A CUSTOMER, REQUEST IT! IF YOU'RE NOT A CUSTOMER, JOIN! I want my imagin Visa credit card right now! 1. What advantages does the Visa imagin credit card have? - The card is free and there are no charges for having one. - You will be able to pay at any shop in the world that accepts VISA (that's almost all shops!). - In the app you can see all your purchases and how you paid for them at a glance. - You can withdraw money on credit at any CaixaBank or other bank's cash machine. For cash withdrawals from CaixaBank cash machines, and any other cash machine in Spain and in the EU: 4.5% MIN €4. Additionally, the full or partial amount of the fee applied to each operation by the bank that owns the cash machine may be passed on. For cash withdrawals from cash machines outside the EU: 5% MIN €4. - You can reserve cars and hotels where sometimes debit cards are not valid. - It's Contactless. You do not need to enter a PIN for amounts under €20. 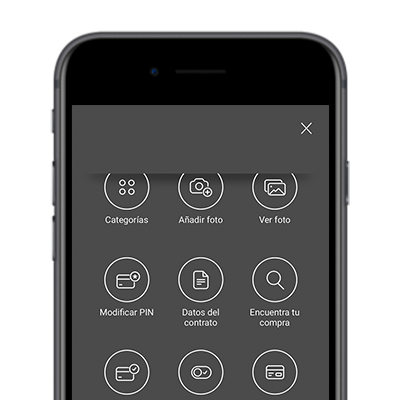 - You will benefit from CaixaProtect®, a service that protects your card operations against any fraud and, furthermore, we will inform you of all your card transactions so you don't have any surprises. With the Visa imagin credit card you can pay when it best suits you. · Pay for everything on the first of the month. No fees. Example: If you spend from 22nd May to 21st June you will be charged on 1st July. You will also have the option of paying in advance (without charges) and paying what you owe when it suits you without having to wait for the first of the month. · Pay in instalments. You can spread payment over 3, 6 or 12 months. If you want to, you can split a payment over 3, 6 or 12 months, whichever you choose. The rest of your purchases will be settled by the method of payment that you have specified. You will only pay interest on split purchases. · Pay the lot when an amount is exceeded. You can specify for a payment to be made when your card expenses exceed a specific amount. For example: when your credit card purchases exceed € 80. · Pay off the lot every X days. Pay when it best suits you. For example: pay every 2 days or every 15 days. · Pay off the lot on a certain day of the week. For example: pay every Monday, Wednesday or Friday. · Pay a fixed amount every month. If you prefer, you can specify always paying the same amount every month. 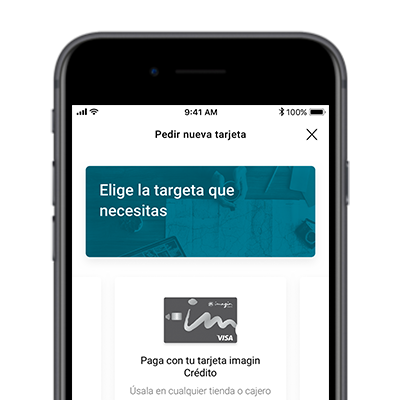 · At any of the more than 9,400 Caixabank ATM's. 1. Information on paying in instalments: when financing a purchase in 3, 6 or 12 instalments for goods and services sold in stores, an annual interest rate of 23.40% is applied. Example of how paying in instalments works: for a purchase of € 100 divided into 3 instalments, you would make 3 payments of €35.30 each (total amount owed €105.91), APR: 25.91% (APR calculated for a purchase made on 1-12-2017 with a first payment on 1-2-2018). This example assumes that no new transactions are made that increase the card's outstanding balance and that the debt is formalised at the beginning of the period. 2. For transferring credit to your account: 4.5% of the drawn-down amount with a minimum of €4. Card granted subject to assessment of the solvency and repayment capacity of the applicant, in accordance with the risk policies of the institution. 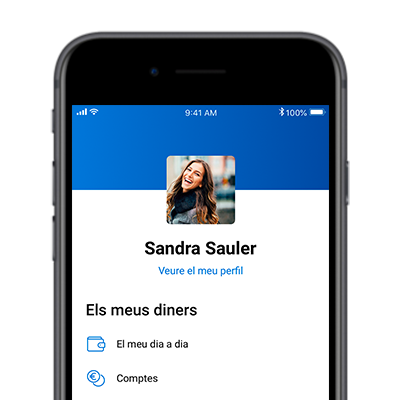 CaixaBank, S.A., agent for the card issuer: Caixabank Payments 1 EFC, S.A.U., with NIF A58513318, and registered in the Bank of Spain Official Register of Companies under number 8788; and Caixabank Electronic Money EDE S.L. with NIF B65856105, and registered in the Mercantile Register of Barcelona, volume 43345, sheet 58, page nº. B, entry 1ª.